(i) Kihoto S.H.G where they showcased and sold their famous mucunu (fowl species), rabbit meat and mukimo (a delicious traditional kikuyu meal-smashed green maize, beans and boiled potatoes). (ii) Utugi S.H.G where they showcased stinging nettle powder and they had prepared very nice porridge prepared by nettle and mixed uji flour as well as boiled maize (mitungo). They were able to market their project by selling porridge and stinging nettle. (iv) Lare S.H.G where they showcased and sold their marenge products in value addition where they had prepared chapatti and mandazi made from marenge. (v) Tazama mbele women group they were able to market their group where they mainly dead with environmental conservation. They had tree seedlings where they trained and sold tree seedlings. (vii) Maendeleo Endelevu Program (MEAP) an NGO organization in Molo where they also had an opportunity to present the organization and publicize their activities. (viii) Necofa where they exhibit and trained people on their different activities that they undertake towards community development. They were in a position to display their low food activities, school garden projects, water and sanitation among others. 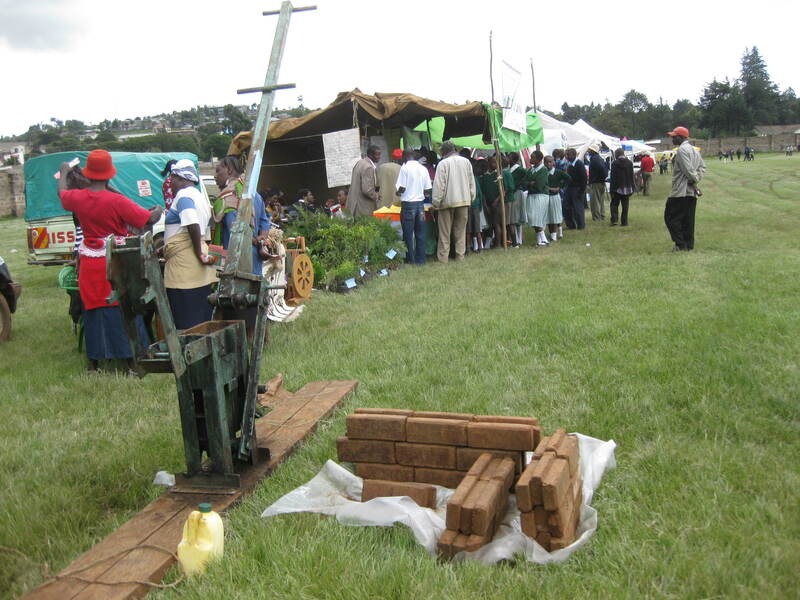 They were also in a position to demonstrate how Makiga machine works in producing construction bricks which attracted many male farmers. The whole event was good and considering it was the first one, there is high hope of improving and making it even better. Such events are good opportunity of training, exhibiting collaborating and marketing the organization. The event was attended by many stakeholders but it was observed that many people did not turn up to know what these stakeholders do ad what services they offer and where they are located. This was targeted to be a good opportunity for farmers and community groups to share and learn from one another. Kihoto group emerged as the best community group and they were awarded a certificate and a token for being the best and Necofa was very proud. On the other hand Michinda boys primary again was recognized as the best school in 4-k club and they were awarded a certificate. Mrs Alice Osebe from the Ministry of Agriculture who is working with the Michinda boys was awarded a token and a certificate for being the best staff from the MOA and 4-k club projects. The occasion was good and the community groups appreciated the support and efforts from Necofa it was a very good opportunity for them to market themselves as well as learning and sharing with others. On the 1st to 9th May, Mucunu chicken producer and technician travelled to Valdarno, Tuscany in Italy, for an exchange visit with the Tuscany Valdarno chicken producers. During the visit, they learnt about chicken selection, vaccinations, feeding and disease management. It was a successful visit and very important for the mucunu producers who are restocking the breed to save it from extinction. The National Environment Management Authority (NEMA) organized a two days training on the issues of Climate Change in the larger Nakuru District. Necofa Coordinator, Mr. Samuel Muhunyu took part in the training held at Egerton University on 5th to 6th May 2010. The stakeholders training established three ways over which community groups can actively engage with climate change i.e. • Mitigation, carbon sequestration through tree planting and ecosystem conservation and management. • Adaptation, promoting tree planting and sustainable agricultural techniques including growing of indigenous food crops to enhance food security, harvesting rain water and curbing soil erosion to build resilience. • Promotion of Sustainable development: , livelihood diversification and education to become more economically resilient and make progress towards the Millennium Development Goals (MDGs). 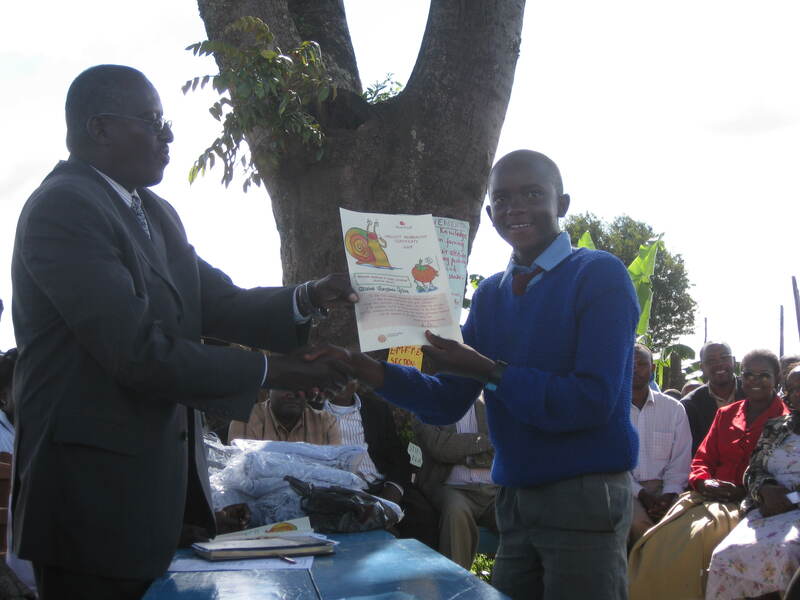 On 3rd may 2010 Mr. Samuel Muhunyu and John Wachira represented Necofa at Michinda Boys’ primary school on an awards giving ceremony, as the institution received the award for emerging the best 4-k club project in the country. Officials from Ministry of Agriculture and Ministry of education attended the occasion and presented the awards to the school. NECOFA also had an opportunity to grant certificates to 4- club pupils. The occasion marked a splendid appreciation of upcoming initiatives to nature sound and remarkable practices in the younger generation. “Peace building and Conflict Transformation” Training at Nakuru. Three nominated members, Mr. Samuel, Mr. Mwaura and Mr. Chege from NECOFA participated in a four day training titled “Strengthening the capacities of Kenyan Non-State Actors in Peace building and Conflict Transformation” organized by European Union and Konrad Adenauer Stiftung in partnership with MERA, CJPC and CIAG-K held at Imani Guest House in Nakuru. The training took place between the 25th of April to 29th April 2010.The training was facilitated by two renowned peace and conflict trainers named Dr. David Steele and Mr. Babu Ayindo, to build the capacity of NGO’s to deepen the understanding about peace and conflict in the region, and the ability to identify strategies to improve the relationships and resolve disputes peacefully. NECOFA organized a Terra Madre lunch to fundraise for Global Giving locally. The occasion was held at ACK church hall where about 35 people turned up and some of them sent their contribution through Mpesa. We were able to raise 67,609 as the total contribution with the expenditure totaling to Ksh, 19,009 therefore leaving us with ksh.48, 600. 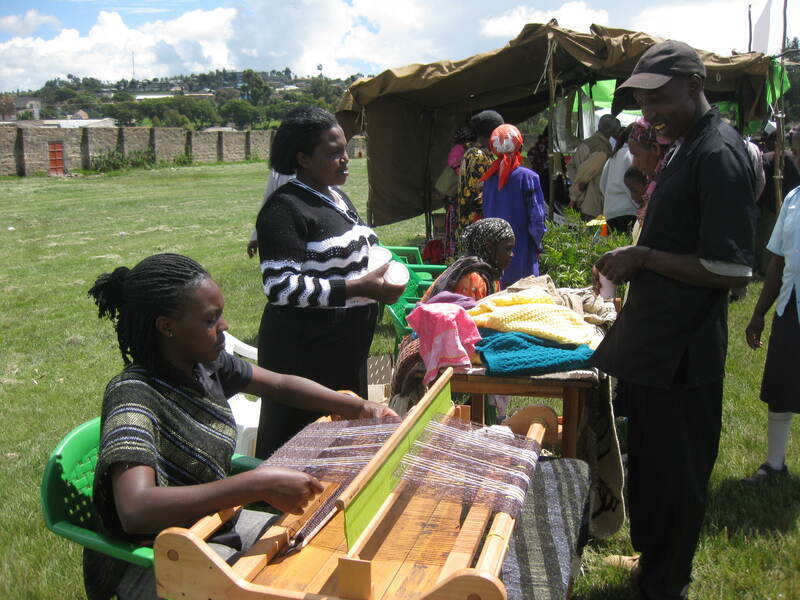 The design project will empower 90 families affected by HIV/AIDS in Molo district, Kenya, to produce nutritionally balanced food and improve their incomes. While most Kenyan families face poverty and hunger, those affected by HIV/AIDS are more prone and vulnerable. They have the additional responsibility of taking care and feeding the infected person(s) who also require even more nutritional attention. Network for Ecofarming in Africa will equip 90 critically affected families in Molo district, Kenya, with skills and materials to enable them produce balanced and nutritious food, and earn extra income. —For more information. Click here...………….